STILLWATER, Minn. (April 25, 2018) — Lift Bridge Brewing Company, Stillwater’s first craft brewery since Prohibition, today announced that it has purchased 5.5 acres of property in Stillwater to build a much larger production and distribution facility, as the company continues to grow. Construction on the first phase of the new location will begin this August to kick off the brewery’s 10-year anniversary celebrations. 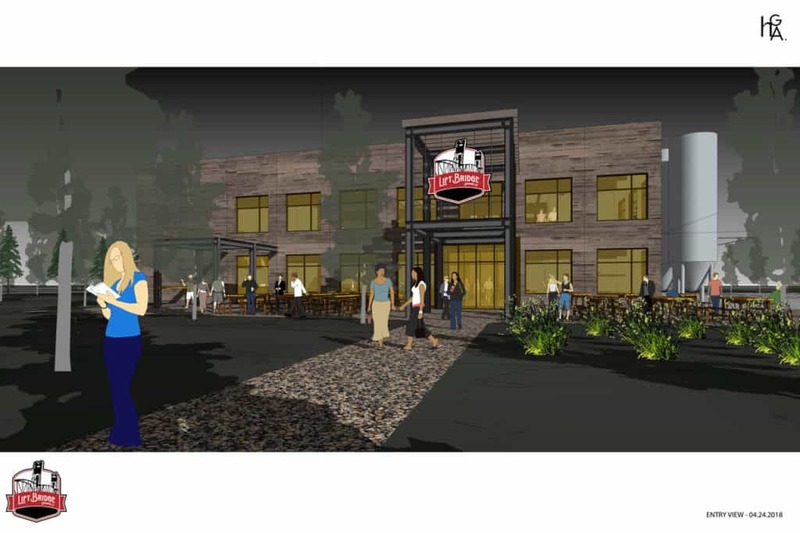 The new Lift Bridge brewery will be located less than a quarter-mile north of the current location, at the SE corner of Orleans St. W. and Washington Ave., and will feature a taproom, patio and outdoor space. Specific plans for the design and development of the new location are currently underway. After experiencing 10 years of consistent growth since the company was founded in a residential garage in 2008, Lift Bridge Brewing Co. is moving to accommodate projected growth at an estimated average of 20 percent over the next five years. In 2017, sales increased more than 20 percent in Minnesota and the company brewed 19,000 barrels of beer, a significant increase from the 8,000 barrels brewed in 2014. Lift Bridge ownership has chosen Hammel, Green & Abrahamson, Inc. as the architecture firm for the project, which is expected to be completed by next summer. Metro East Commercial Real Estate represented Lift Bridge Brewing Co. in the search for their new location. Lift Bridge Brewing Co. distributes its craft beverages throughout Minnesota, Eastern North Dakota and much of Wisconsin. To learn more about Lift Bridge, please visit www.liftbridgebrewery.com or follow the company on Facebook and Twitter, and Instagram. Since 2008, Lift Bridge Brewing Company has created quality craft beers that supply adults with what they need to slow down and enjoy life. Through every can, bottle or tap pull, Lift Bridge wants drinkers to taste: the history of Stillwater, the pride and fun the company has in its creation and the uncompromising natural ingredients used during the brewing process. Ultimately, the company hopes to provide consumers with an experience that makes them proud to call themselves a “beer drinker.” Visit www.liftbridgebrewery.com or follow the company on Facebook and Twitter, and Instagram for more information.